Throughout the world—from the developed economies of North America, Europe and North Asia, to the developing regions of Latin America, Africa and South Asia—carriers are seeing the value of upgrading their wireless networks. Despite significant economic headwinds, demand for higher data rates is compelling carriers to invest in new equipment, driving growth in infrastructure gear sales. 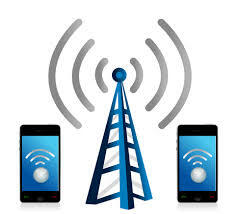 In Nigeria, specifically, the expansion of the wireless infrastructure market is being fueled by carriers investing in 3.5G/3.75G network upgrades, as well as the migration to 4G long term evolution (LTE). This strategy of incremental technology migration has helped carriers keep pace with the bandwidth growth on their networks, without requiring a widespread rollout to orthogonal frequency-division multiple access (OFDMA) based 4G LTE during a period of recession when most users have stopped using their phones. In areas of high data traffic—driven by increased consumer usage of mobile broadband with smartphones, connected notebooks and tablets—carriers are investing in channel card upgrades, integrating more channel cards in existing base stations. Lagos, Abuja, and Port Harcourt are the most areas of interests. By 2019, broadband density in Nigeria is expected to skyrocket as the transition to LTE by most players complete.